Last weekend, I got an exclusive invite to the press screening of "Quest For A Heart" at SM Cinema in SM Megamall. I came there with my 9 year old son and my mom who both enjoy watching show such as theater or movies. Rolli, a young troll and his friends are on aquest to find the magic heart that will save their village and the world from turning to stone. Rolli and his freinds can´t succeed without Millie, an Elf who in all her beauty stands for everything trolls hate. This amazing fairy tale will capture your heart. 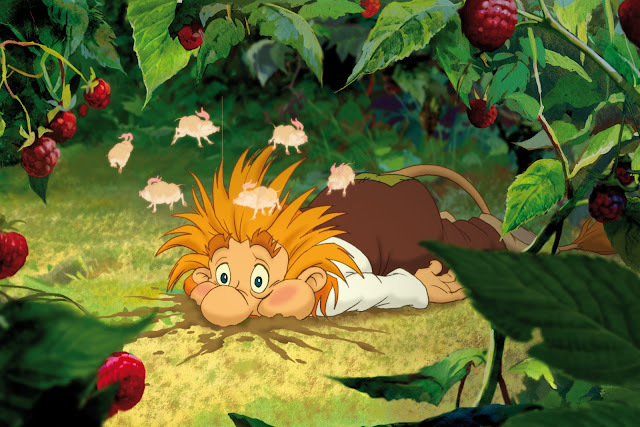 Quest For A Heart is a story that teaches great values for children. I particularly liked the fact that from start to finish of the movie, the creators made sure that lessons will be learned by the little ones. Overcoming Fear - From the beginning of the story, the Trolls led by Rolli, display their love for scaring people. That's what they do, they make silly faces and voices to scare anything and anyone that would come their way. The didn't succeed when a beautiful elf, Millie, was walking in the woods in search for the Magical Heart hidden in the cold mountains. Millie showed courage and didn't get scared of the trolls regardless of what she may have heard about them. Being Ingenious - The trolls' village is a small community made up of improvised tools of wood and stones. It's fascinating to see these tools they use which detail being ingenious. We particularly loved the little boat that later on was able to fly by launching its wings. 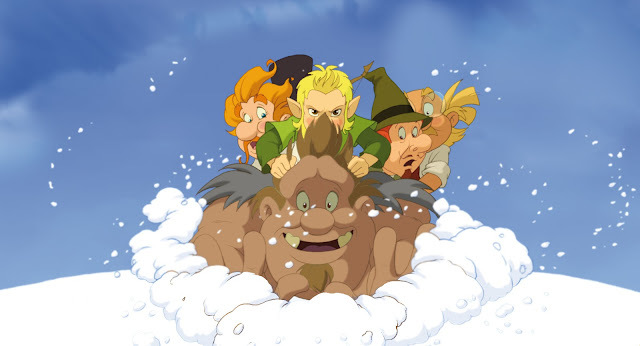 Acceptance of Differences - Whether you are a troll or an elf or a giant, the film showed that these creatures could indeed get together and relate to each other well as long as each accepts the differences. In our society today especially in the school community of our children, there could be students coming from other countries or those that may just look different from normal kids. Our children should be taught that differences in looks shouldn't be a stopper in making friends with them. Helping Others - When Millie and the trolls went together in search for the Heart, the value of helping was clearly shown. This is something parents always want to teach their kids. To help others in need without expecting anything in return. You will never know the day that will come when you will need help yourself and unexpectedly the person/s you helped will come back and take their turn in helping you. Having a Selfless Heart - When Rolli and Millie with the rest of the gang went on their quest, putting another first was shown particularly when Millie saved the life of Rolli when he was about to get hit by a bow. Millie put her life first just to save Rolli. In return, Rolli transferred the power of the magical heart to Millie. Value of Friendship - All throughout the film, the friendship between Rolli and Millie was seen developing. Regardless of their differences, they got along well. What's important is that each one accepts it and understands each other by using the kindness of their hearts. If you're a fan of the movie such as "Rise of the Guardian" or even "Upin and Ipin" on TV, you might get a little disappointed because the movie doesn't show that kind of clarity, crispness, sharpness and almost 3D type of animation. But nevertheless, it was ok.
My son said himself, "I enjoyed the adventures they went through. It taught good moral lessons. The cartoon was colorful and entertaining. What I like the most was the Lazy Boy seats! It was comfortable and relaxing!" 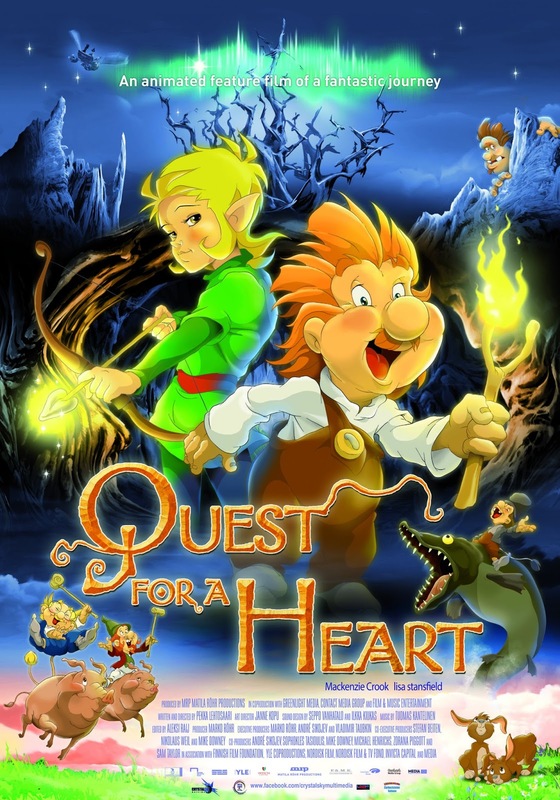 "Quest For A Heart" is presented by Crystalsky Multimedia and showing exclusively on SM Cinemas. For more information, like SM Cinema on Facebook. Wow, nice experience and bonding moment this is! :-D My kids watch Upin and Ipin, too, and I get to watch with them. Too bad, the movie didn't have that quality. Hi @disqus_b517aZI2rI:disqus we did have a great time! Thanks.